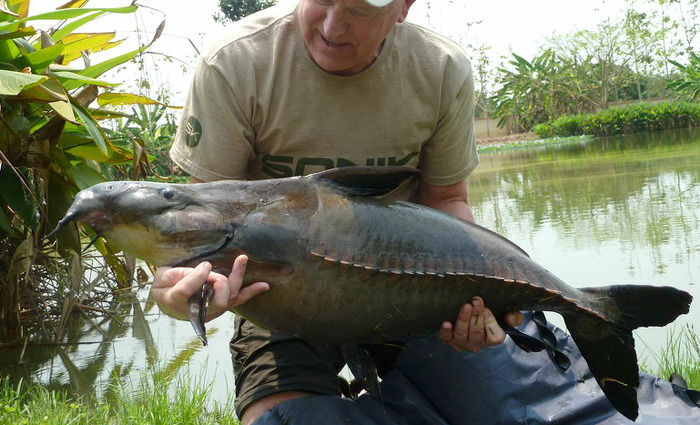 Ripshaw Catfish, or Blaa Niger as they are called locally, are another Amazonian species. We got these through a strange turn of events. I’d ordered some Peacock Bass, but they died in transit to us and it so happened that the guy who was supplying them had these Ripshaw Catfish that I took as replacements – and bought all the rest that he had. When I got these very few fisheries had them, so it was quite a scoop.